An introduction to the history and standards of the Westminster Assembly. The Puritan Westminster Assembly is a watershed milestone as one of the supreme epochs in Protestant Theological History. It landmarks the greatness of British and Scottish Puritanism as quintessential Christianity. The names “Puritan” and “Precisian” are originally applied by way of reproach against this movement because they claimed to set forth more “purely” and “precisely” the Word of God as the only authoritative and sufficient rule in matters of faith and practice, especially of doctrine, worship, church polity, and the practicality of the Christian life. The Puritans embodied the practical Christian. It was not that they were “simply” logical precisionists in doctrine and exposition of the Word of God, but that they set forth the living and active relationship between every individual soul and its God, as well as employing that soul before God in its entrusted work in which was performed before his fellow man. They embodied, then, the two tablets of the law in practical living. Previous forerunners of Puritanism set the foundation for its arrival; men like William Tyndale and Miles Coverdale who labored to bring forth the Word of God in English, to affect an English Reformation. Also the itinerant labors of Hugh Latimer, John Hopper and John ‘a Lasco preaching fervently set the spiritual stage in the soul’s eager expectation to receive the Word of God in print. Mention must be made of John Knox who should be seen as a great preacher and reformer of the National Church, priming the minds of Christians for the explosion of puritan preaching in the subsequent years to come throughout Europe. The development of English Puritanism during the reign of the last Tudor sovereigns may be said to have been in its infancy. Under Elizabeth’s reign, just before her death, it was reaching its maturity. Under the persecution of her reign toward ministers of the Gospel, Puritanism tended to develop more and more a polemical, as well as a practical, frame and standard. Those ministers and theologians who had similar convictions were brought into contact with one another, and Protestantism in general gave way to the importance of these passions to the Word of God. In 1558 Elizabeth gained the throne over her Roman Catholic sister Mary; her death was due to a cancerous cist they thought to be a child, but ended up killing her. Elizabeth was a willful, independent queen who desired to rule her people in every area of their lives. She set about reforming the church and the regulation of its worship almost as harshly and forcibly as Henry VIII had done. She made revisions of the prayer book that was previously used by her brother, and instituted a Church of England that adopted it as its form. The Act of Uniformity gave her the right to make changes to this church as she willed accomplished this. However, Puritanism was secured by Elizabeth’s throne, rather than abolished by it, even in spite of her cruelty towards Puritan Ministers (some of which were imprisoned, and others exiled). The Puritans were of Presbyterian persuasion, this obviously not fitting into the Elizabethan pattern of dictator over the church. Thomas Cartwright was arrested in 1585 with a copy of a Directory for Church Government that made provisions for synods, provincial and national, as well as for presbyteries greater and lesser. Elizabeth, though, did all she could in order to suppress the preaching and writing of these faithful divines in order to keep control over the people of her kingdom. An educated populace does not make for a good kingdom. Rather, she would have enjoyed a more ignorant and servile people under her reign. Puritanism stood to the opposite of this lifting high the banner of study and responsibility in doctrine before Christ, neighbor, and country. It is important to note that the Puritans did not yet understand the implications that their views on doctrine and worship would have on the church, since they contended for the Regulative Principle over the Church of England’s additions to Christ’s worship. During the earlier Stuart kings we find the inauguration of Parliament under the universal consent of “Long Parliament”. This Long Parliament met on November 3rd 1640 and continued until Oliver Cromwell forcibly dissolved it in 1652. The Church of England fought vehemently against the Regulative Principle of Worship (i.e. that no matter of worship should be introduced into the worship of Christ unless the Bible explicitly stated such). This Church of England (or Anglican movement) believed they had a jus divinum (a Divine Right) to interpose rite or ceremonies that the church deemed fit for worship copying ancient practices that it had followed in the past. In 1603 Elizabeth died and James I of England took the throne. Puritans petitioned him as he took the throne in hopes he would give rest to the persecuted ministers that had been ill-treated under Elizabeth and Whitgift (an Anglican theologian of the day). The king decided to hold a conference to hear the grievances of the Puritans, and it was held on January 14-18 of 1604. Dr. Reynolds, Dr. Chaderton, Dr. Sparks, and Mr. Knewstub were invited. Unfortunately this meeting did not go as well and concession of others sorts were made but at the expense of the Puritan cause. One hundred and forty one concessions were drawn up and ordered by Parliament to be evaluated, many of them being against the Puritans and not for them. It equaled being anathematized by the Church of England if non-conformist ministers continued in their non-conformity. After Parliament adjourned, a royal proclamation went out, and non-conformist ministers were persecuted. Some were silenced, some imprisoned, and their churches were broken. Some 1500 ministers at this time are estimated. Even Andrew Melville was imprisoned and gave rise to the unjust and tyrannical nature of James’ reign. Certain applaudable actions did emerge from James’ reign 1) the Hampton Court conference and the King James Bible, 2) The authorization of the use of the Irish Articles of Religion, and 3) the sending of deputies to Holland to attend the Synod of Dordt in 1618-1619. After the death of James, his throne passed to his eldest son Charles. Charles was a despotic king who thirsted for tyranny rather than sound kingship. During his reign the Mayflower left England in hopes of founding Independent religion from the despotism of Charles, and settled in the Massachusetts Bay colony. Bishop Laud at this time was persecuting Scotland and Ireland against the Puritan cause, though Ireland and England seemed to be under the thumb of the king and bishop laud, Scotland would have no such oppression, and fought back. Scotland’s commoners, divines and theologians met together to reinstate the Covenant made in 1581, with certain additions based on the new crisis at hand of being stamped out or silenced. Charles could not deal favorably with these men, and called Parliament together, designated the Long Parliament, to set forth the constituted means of church polity and worship for England, Scotland and Ireland. Various petitions were presented by the Puritans to the House of Commons in order to rid the country of Anglican reforms. One of the main petitions signed by over fifteen-thousand people was the “Root and branch” petition. It desired the abolishment of the hierarchy set up in the Church of England, as well as all its “roots and branches”. A counter petition was given as well in order to balance the study of these questions. Soon after, the House of Lords and the House of Commons desired to have a Committee come together to take into consideration all innovations in the church concerning religion and make a settled agreement about it. This Committee, made up of some eminent divines who would later sit on the Assembly, debated about these issues. After such a time, this Committee decided it would be more useful to have a longer assembly come together in order to set forth all the necessary doctrines and teachings and create a common standard for the church on all issues of basic Christianity. They did not want to simply fall back to the old Confessions of Scotland, and on things labeled status quo in religion, but to pass with consent a Confession, Catechism and further safeguards that could be devised against the polity that had caused them so much grief in the past. A general synod was considered of the most learned, pious and judicious divines of this island (not just England) for the peace and government of the church. Only a well-chosen and well appointed synod would be able to relieve the country of poisoned doctrine. April 19, 1642 the House of Commons ordered that a list of names should be made for such an assembly. On the 25th the list was completed. Two divines were appointed for each county in England, for each of the Universities and for the Channel Islands, one for each county in Wales, and four for the city of London. The purpose of this Assembly was “for the settling of the government and liturgy of the Church of England, and for vindicating and cleaning of the doctrine of the said church for false aspirations and interpretations as should be found most agreeable to the Word of God, and most apt to procure and preserve the peace of the church at home, and nearer agreement with the Church of Scotland and other Reformed churches abroad.” The purpose of the Assembly was housed under the Solemn League and Covenant. It was this purpose alone in which the whole of the Assembly sat in determination of true doctrine. They were to gather first on July 1, 1643. Upon opening day, the Assembly first met in Westminster Abbey for a divine service. They decided to wait until Thursday to convene in order to draw up the proposal for what they should treat first. They also set down certain rules by which the Assembly would follow, such as no resolution shall be given upon any question the same day where it was first propounded, and that what any man undertakes to prove as necessary, he shall make good out of the Scriptures. The Assembly also created three committees in which subdivisions of work would be handed in order to study and check the work of the Assembly as questions and answers were to be given (this following the same constitution of the Synod of Dordt in 1618-1619). Principle journals and writings on the Assembly came from the pens of Lightfoot, Neal, Ballie, Gillespie and Featley. Much of the work of the Assembly rested upon guidance from Ussher’s Irish Articles, and they used these articles to frame certain aspects of the Confession and Catechisms. They spent considerable time on important doctrinal debates which occurred early in its session meetings, as well as revising the Articles of the English Church. When the Scottish Commissioners commenced their involvement in the Assembly (such as Rutherford, Gillespie and Henderson), the issue of the Solemn League and Covenant emerged. The English commissioners yielded to the Scots in order to propose a Solemn League and Covenant with one another, and the church in general, for the “defense and preservation of the Reformed religion in the Church of Scotland in doctrine, worship, discipline and government, and for the reformation of religion in the kingdoms of England and Ireland according to the Word of God…” This covenant was drafted by Henderson, a worthy mind and eminent divine, and given to the Assembly in which it was received with very little adjustment. It was accepted by the Houses and was finally directed to be subscribed by the whole of the island. It was held with “singular unanimity and enthusiasm”, and to be held by all since they believed it to be grounded in the Scriptures and thus necessary to be bound upon the conscience in theory. In his history of the divines Hetherington says “it is the wisest, sublimest, most sacred document ever penned by uninspired men.” M’Crie says that the signing of it was “the most remarkable even in Scotland’s remarkable history.” Its purpose: to be recognized as a testimony against Popery, sacerdotalism, and all profaneness in religion. Robert Ballie, a precise historian for the Assembly, says that “The like of that Assembly I did never see, and as we hear say, the like was never in England, nor anywhere is shortly like to be.” Adding to the glory of the Assembly, in human terms, were the Scottish Commissioner who arrived September 14th. These first arrivals were Alexander Henderson, George Gillespie, and John Maitland. The Scottish Commissioners pressed the Assembly to consider the war Scotland was taking on theologically, and how England should interpose with them through the Solemn League and Covenant. Dr. Burgess has made some concerns on certain wordings, but after this was accepted, he gave thanks to God “for the sweet concurrence” in the Covenant. Lightfoot gives some notes as to the service enacted in the acceptance of the Covenant. First, Mr. Wilson suited the present occasion out of a few Psalms. Mr. White then prayed nearly one hour. Mr. Nye exhorted the brethren for another hour, and Mr. Henderson also did the same from the very seat he was in. Then Mr. Nye read the Covenant from the pulpit, all hands went up in acceptance of it, and then Dr. Gouge prayed. Mr. Wilson closed the time by reading some Psalms again. It was finally sworn in on October 15th after Essex took to its commendation as well. The question of church government then came to floor. It arose not because it was first to be discussed, but that all subsequent Confessional ideas, and the Catechisms themselves would be of no use unless the real issue of church-government should be settled. The Scots pressed this with fervency, and no doubt, it would cause certain divisions between the Independents and the Erastians. The Independents, lead by noble men such as Thomas Goodwin and Jeremiah Burroughs, took a very different view holding to church independency rather than the Presbyterian view. Even from the beginning, Goodwin argued that Christ was not Head in the church, but over the church, where the Presbyterians said that Christ was Head in it and over it. They debated the offices of teacher and doctor, as to a twofold office or one office divided into two subdivisions. Next, ruling elders were taken up, and this was even more prolonged than the discussion over the doctors of the church. The reason such debates were heated, was that there would be a perpetual and universal obligation given as to the manner in which these offices and government should be observed for all time. Finally, the nature of Independency and Presbyterianism came to the forefront. Either a congregation was given the rights and privileges of a presbytery, or only those lawfully called and ordained were given the right. Many subsequent documents were written by both sides during this time and published in London. According to historians and written documents this issue was “thoroughly exhausted.” The Presbyterians won this decision in the House by a large majority, demonstrating the Scriptural position of Presbyterianism, and overthrowing the Independency that Oliver Cromwell would set up by force (not by Scripture) later on for a brief interval. This was called “The Grand Debate” of the seventeenth century. Finally, the question of Toleration, and its extent was debated. It was agreed that church government was among the acts of mutual toleration that brethren should concede to another. The only time one should not tolerate another is when undue impositions were brought forth, and this is exactly what the Independents did in their pleas for religious toleration. However, it was this point that Presbyterianism as a whole failed its own creed and covenant without defending strict subscriptionism. The Assembly moved from church government to the Directory of Public worship that was elaborated while debates about government were also commencing. The purpose of the Directory was to aid ministers in the various parts of public worship. Debates ensued about the nature of details in worship, such as what should be said of those baptized, and what responses they should be able to give. It was insisted that those coming into the church as new members should be regenerate, as adult proselytes. Such a testimony of true regeneration should be evidenced in manner and conversation. The purpose of creating this Directory was not to frame a new way of worship, but to settle the proper way of worship from what had already been establish, and purify that which should have never been accepted. They certainly desired to remove anything unedifying for the people of God, and anything that would dissuade proper ministry. For example, “studied prayer” was debated, and many of the divines thought that studied prayer should be part of the minister’s arsenal. This would entail the writing down beforehand of the substance of the prayers, as well as their sermons. The Assembly spent considerable time on the topic of “Preaching the Word”. The Puritan divines of Westminster were among the masters of this “sacred art.” The Assembly then adopted the Directory in 1644. Interrupting the calm affairs of the Assembly was the Civil War that was about to break out around the country. For instance, Lord Strafford (a close military associate of king Charles I) at this time was beheaded for treason, and enacted by men in Parliament. To understand the gravity of the long term of debate surrounding the Assembly’s tenure, it is important to consider, more keenly, the issues of government and ordination. The harmony of the Assembly was forever broken by the debates that surrounded the Independents and the Presbyterians. The Westminster Assembly formed a treatise entitled, Propositions Concerning Church-Government and Ordination of Ministers since the manner in which ordination affected church government was essential to the vitality and soundness of any given congregation. This was later named The Form of Presbyterian Church Government, which embodies the standard of the Assembly. The “laying on of hands” was a debated phrase as to its correct use and proper placement in the article. At first they desired it should be “with the laying on of hands” and later changed it to “by” instead of with. Ultimately they left this off altogether and decided on, “shall solemnly set him apart to the office and work of the ministry, laying their hands on him.” The Presbyters did this by lawful and divine right (1 Tim 4:13). Many propositions were set down concerning ordination, of which debate between Independents and Presbyterians arose. The Presbyterians attended everything they could to the Independents and their desires to have a true unified form, but could only attain this to a certain point since their injunction caused a difference of doctrine on the point in general. It was sent to Gillespie and Henderson in Scotland for a time in order for the Scottish church to study it, and they passed the entire Directory for Church-Government in Scotland in 1647 (attesting to the reality of the soundness of the document) though it passed the Assembly’s approval in 1645. Ultimately, this document stated that those joining themselves to another church, of another constitution and government, are not warranted by the word of God, but act in contrary to it. The government then came down to the following schematic: the people of the congregation are subject to the deacons and pastors; the deacons are subject to the Presbyteries, and among the Presbyters various synods and councils could be employed, but none greater or lesser than another since all presbyters are equal under Christ. The Autonomy of the church and the relationship of the divine headship of Christ was of great debate in the Assembly as stated thus far. In association to the details given, there was also debate around the discipline of the church, and how this should be administered. This interrupted the study of church government for a time during the year 1646 in order for the Assembly to give proper attention to this critical issue. The Assembly had to Scripturally define the esse and bene esse of the church. This posed differences of opinion since England and Scotland grew out of different political histories, and so the relationship of the jus divinus would be different depending on those histories. Gillespie and Selden mark a point of “combat” in the Assembly in debating this issue. They agreed on Christ as head of the church. The officers of the church were defined and their functions described. Then the function of the Civil Magistrate came into discussion. The Civil Magistrate did not have the power of the keys (which the Erastians did not agree with), but did have the ability to set forth the church to its task of preaching in directing and aiding the presbyteries to complete their function, and hinder any who opposed it. This caused no small tension between the House of Commons and the Assembly, but after eight weeks of debate and clarification, the matter was put to rest. They concluded that Christ has given no headship over His church to any “pope, king or parliament whatsoever.” This left the divine right of discipline to the Presbyteries of the church, and not in the hands of the State, and rightly so, both to the satisfaction of the assembly (except the Erastians) and Parliament. The doctrinal Puritan held to the Augustinian or Calvinistic System of doctrine. The Westminster Assembly was designed to protest poor doctrine and restore the Augustinian articles to their proper attainment in the church of Christ. Though Augustine had not created in the church a system of systematic doctrine, the system known as Calvinism reflected the Augustinian tenants which were foundational to the Gospel. Such foundational doctrines centered on the depravity of man, predestination, the doctrine of Christ, the Trinity, and were epitomized in the Institutes of the Christian Religion in the writings of John Calvin. Confessions and Creeds such as the Lambeth Articles, the Irish Articles, the Synod of Dordt’s Five Heads against the Remonstrance and the Thirty-Nine Articles came forth to set these doctrines down in the midst of the church. In Scotland men such as Knox, Rolluck, Leighton and Calderwood pressed Reformed doctrine through the country over and against the Arminianism rising up in their day. To restore the faith that seemed to have dropped off with the rise of the Church of England, and the war in Scotland, was the Assembly’s task of constituting a standard by which all truly Reformed Churches may cling. In 1644 a committee was prepared to set this in motion. This committee then assigned the three committees their task in dividing up the doctrines of the chapters to confer and assemble. A draft of the Confession was finished on July 23rd 1645. It was worked over for another year, but because of the debates surrounding church government, was not completed until December 4th, 1646 with the title: Articles of Christian Religion approved and passed by both Houses of parliament after advice had with the Assembly of divines. Around this same time both William Twisse (moderator for the Assembly) and Alexander Henderson died. In the development of Reformed theology, many solid influences preceded the coming of the Westminster Confession of Faith. Certainly in the preaching and teaching of Ames, Perkins, Ussher and others such doctrine was set forth, but in the writings of Cocceius and Turretin lies the immediate prototype of the Confession. The Confession itself, then, was born of mature Reformed thought, and followed the outline, or sorts, from the Irish Articles set down by James Ussher of Trinity College in Dublin. This confession was accepted, and is accepted, by all orthodox Presbyterian ministers as the quintessential Confession of Reformed Dogmatics. However some repudiated certain doctrines in the Confession, of which two examples follow. The concept of “Covenants” in the Confession is akin to the same material that had been taught and propagated in the churches by Rolluck and Howie in Scotland, Cartwright, Preston, Perkins, Ames and Ball in England, as well by the Dutch Divines up through 1642. The best writings of Cocceius and Witsius, which emerged later, rely on the same train of thought as the Confession and demonstrate the same ideas. There is no doubt that Covenant Theology at this time was uniformly adhered to through Christendom. Even the Independents and Baptists of the day approved of the Confession substantially, as far as the English Parliament had approved it. This is amazing since later on the Independent confession drafted will repudiate Covenant Theology and strive for a “covenantal” structure different than what was originally agreed upon. Some retaliated at the Confession’s third chapter in asserting that one who held to such a view on the Decrees of God could not preach Christ freely to fellow sinners. This calumny was already corrected by the Synod of Dordt some thirty years previously, but still was used against the Confession as to its Scripturalness. Such men drive the church into universalism instead of balancing the doctrine rightly between the decrees of God and His will in predestination, and the depravity of man and his responsibility to the preaching of the Gospel. Another objection brought against the Confession was the charge that not all infants dying in infancy are saved, but only an elect portion. “Elect infants dying in infancy are regenerated and saved by Christ through the Spirit” is the manner of the Westminster Confession. This implies that there are non-elect infants that die and are not saved. It should be noticed that this appears on the section of effectual calling, not election or the decrees of God. The Assembly did not mean to place this in a light where one could imply that there were elect infants and non-elect infants. That conclusion dismisses the intention of the Confession that was simply to state that both adults and infants are regenerated in the same way. It was not meant to make a determination on something the Reformed Churches and the Scriptures are silent upon. 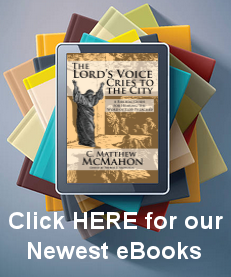 There had been thousands of catechisms published between 1600 and 1645. Even on the Assembly there remained a number of men who had written catechisms before the Westminster Assembly convened (Twisse, White, Gataker, Gouge, Wilkinson, Wilson, walker, Palmer, Cawdry, Sedgewick, Byfield, Newcomen, Lyford, Hodges, and Foxcroft). The first step to creating a unified catechism was in 1643 where the directory of public worship was first set to be drawn up. Herbert Palmer seems to have been a catalyst for the catechism in the Westminster Assembly, and was approved in his manner of catechizing by Rutherford and Gillespie. Palmer’s catechism was then to be molded into a proper form, and Mr. Vines proposed that two catechisms be composed, one longer and the other shorter. 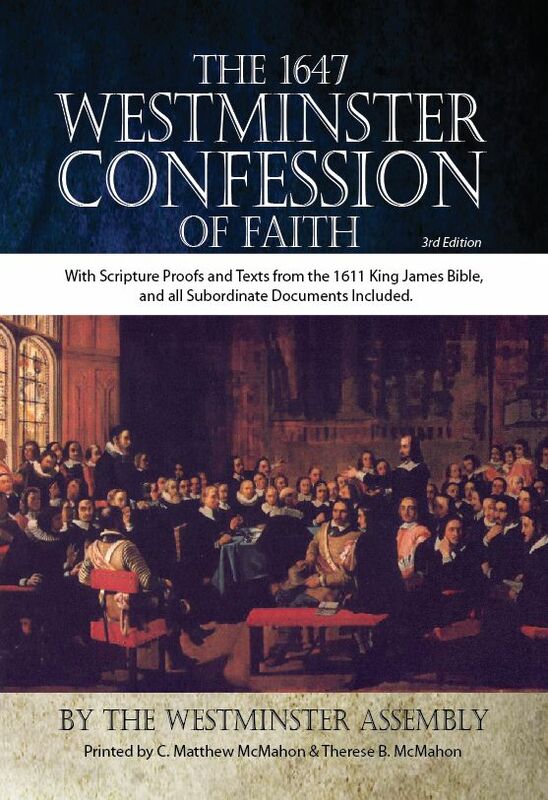 The Westminster Longer Catechism was completed on October 15, 1647 and presented with proofs on April 14, 1648. The Westminster Shorter Catechism was not composed until after the Larger was completed. These catechisms are the most widely used catechisms in the Christian Religion, spanning both centuries and continents in their effectiveness for church edification. Baxter, of all men, had made these catechisms useful and known to most ministers of the Gospel through his work The Reformed Pastor, pressing ministers to utilize the needfulness of catechizing children to mature then in the faith. With the completion of the Catechisms, the work of the Westminster Assembly came to an end. The Assembly did much in its preparation for publishing the documents they had labored over for these past years. They worked on writing certain treatises and documents regarding the jus divinum of church-government as well in the endeavor to lay to rest the Independents that had published some material in contrast to the Westminster Confession of Faith. They continued to meet for this purpose until 1649 that marked Session 1163. After that date they met chiefly as a committee for the examination of candidates for licensure until March 25th, 1652. During the close of the Assembly, Cromwell and king Charles I were warring in civil war over the indiscretionary abuses of the king, and treason against the country. Though Cromwell desired a democratic country, his despotism in the end proved to be as poignant as Charles’ tyranny. Cromwell disbanded the Parliament in 1653, and overruled the presbyteries that had been set up in order to promulgate an Independent rule of churches, something the Independents welcomed no matter how short lived. During this upheaval the Savoy Conference was held which allowed the Independents to create a similar document to the Westminster Confession of Faith, but with Independent ideas forming church government, discipline and the role of the Civil Magistrate. The Presbyterian church in England, Scotland and Ireland saw this as a great schism happening because of political power. Because Cromwell forced an Independent nation, the church then took the liberty to become schismatic and break away from the Solemn League that they had at first endeavored to uphold. What this did for the church was allow a withdrawal of more than two thousand ministers in England, and four hundred in Scotland, and ruined the testimony of religious principle. It also secured the ultimate triumph of the cause schism under the guise of “liberty” and “religious toleration”.